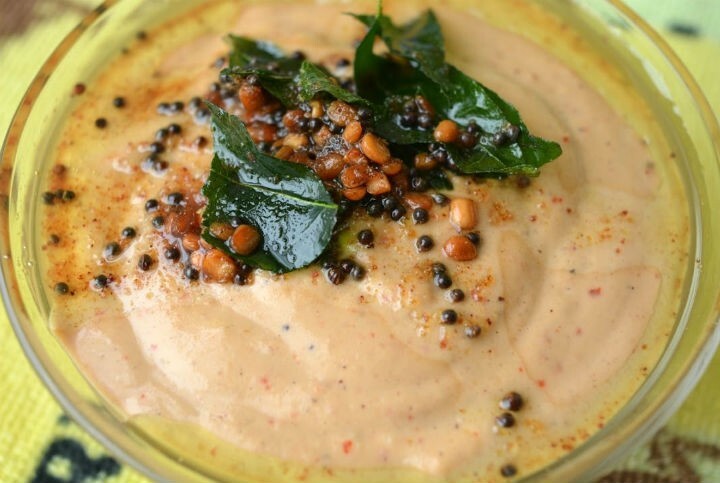 Thuvaiyal (or Thogaiyal) is a popular South Indian, especially in Tamil Nadu, variation of chutney often served with rice or tiffen items. This variation uses raw peanuts and can be served with any tiffen varieties. Soak the cashews in water for 10 minutes. Grind all the ingredients in a mixer with little water. Do not grind into smooth paste. This can be served for all kinds of tiffen varieties. Feel free to comment or share your thoughts on this Raw Peanut Thuvaiyal Recipe from Awesome Cuisine.